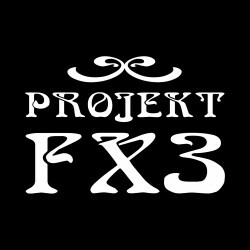 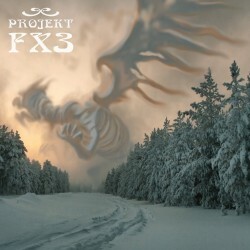 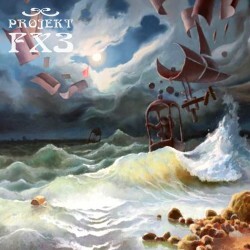 Since 2008, Projekt FX3 are creating their extraordinary music, a combination of hypnotic rhythms with spheric sound scapes. 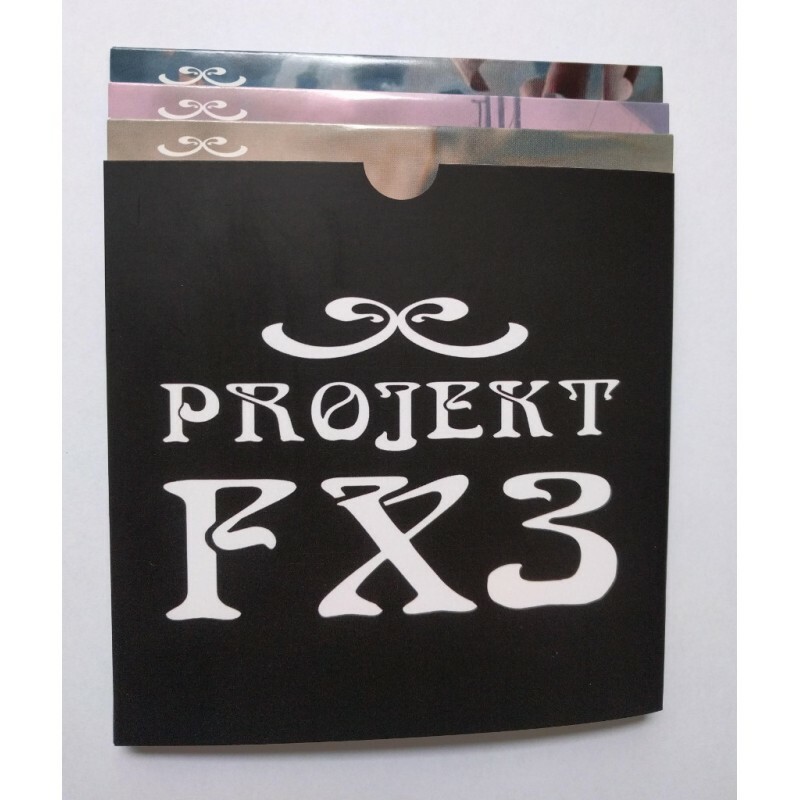 Without the need of any synthesizers, the band makes heavy use of guitar effects and steadily advancing base and drum lines to carry of their audience into audio fields, where no correlation between time and space exists anymore. 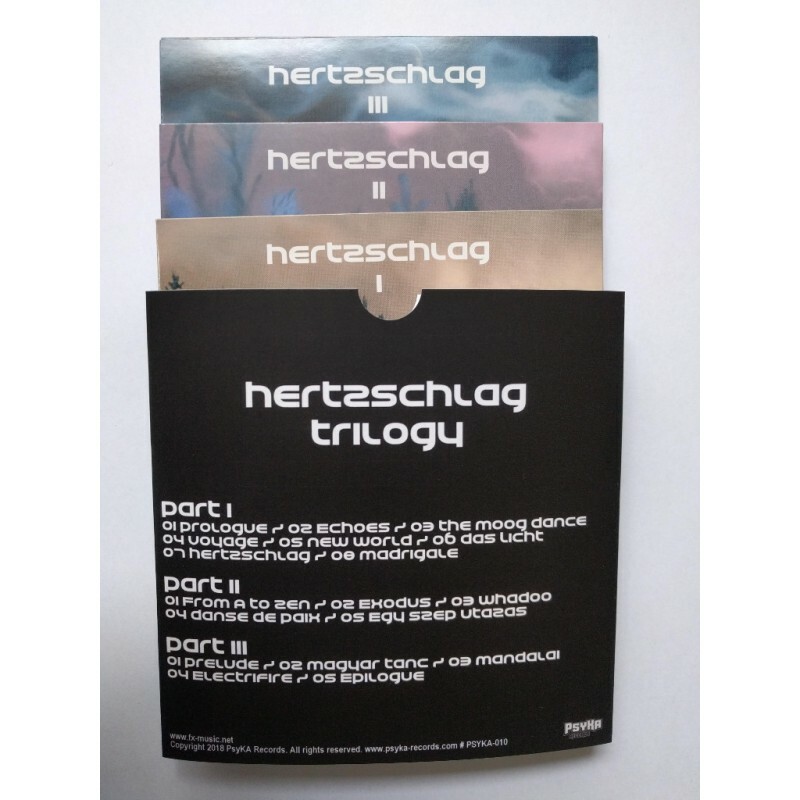 Combines all 3 CDs of the Hertzschlag Trilogy in a nice cardboard slipcase.